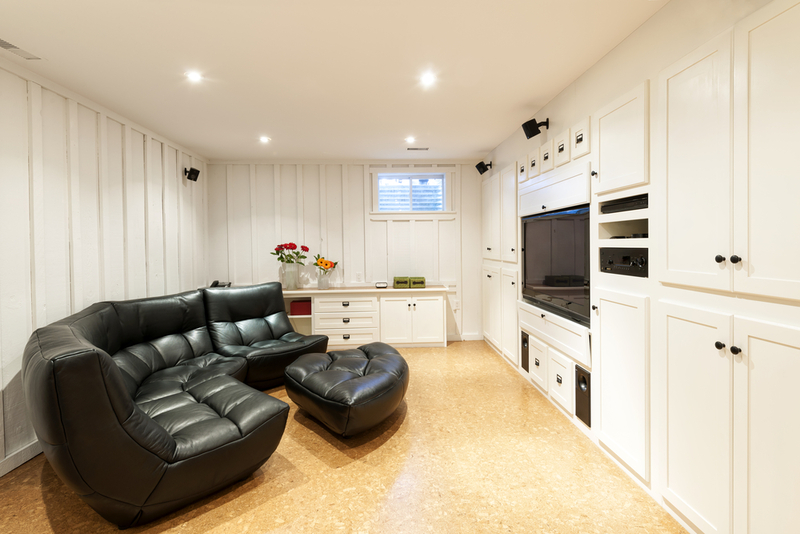 There are plenty of reasons why you should invest in a basement remodel. You’re not only getting an additional functional space, but this home repair solution can also add value to your property. A finished basement can offer as much as a 72.8% return on investment. Eliminate Moisture: It is estimated that 60% of homes across the country have wet basements. Dry everything out before starting any remodeling project, or you’ll be facing mold and rot issues later on. You should also have damaged gutters repaired and foundation cracks sealed. It is also recommended that you invest in a sump pump and use water-resistant and moisture-proof materials. Relocate Ducts & Pipes: Building codes require around seven feet of ceiling space. If your basement headroom allows it, you may conceal pipes and ducts above a drywall ceiling. If that’s not the case, you’ll need to have them rerouted higher up or away from the center of the room. This includes your heating ducts, electrical conduits, and pipes. Examine Lighting Options: The basement is one of the darkest areas of your house. To make it warm and comfortable, play with the right lighting. Have a contractor evaluate whether you can add or enlarge the windows to allow more natural light to filter through. If adding windows is not possible, decorate it with fluorescent overhead fixtures or recessed spotlights. Insulate for Noise Control: If you’re designing a recreation or game room, you need to minimize the noise coming from the main living space. Use fiberglass or stone wool insulation to cover the ceiling above the basement. Some drop ceilings also offer noise control features, or you may opt for acoustic tiles or sound-deadening attachment clips. When it comes to home repair and remodeling projects, make sure you get the best value for your money. You can count on Affordable Handyman in Cincinnati, OH, for your home improvement needs. Their team is highly qualified to handle gutter cleaning, electrical wiring, painting service, faucet repair, and pressure washing. Call (513) 851-9333 for a free estimate or visit their website for more information.